Back in October, we were able to offer a tantalizing first look at Nintendo Switch, but thanks to a series of exhaustive new announcements from the gaming giant, we can now offer a closer look at this new system. First and foremost, Nintendo Switch will launch worldwide on March 3 with a suggested retail price of $399 in Canada. 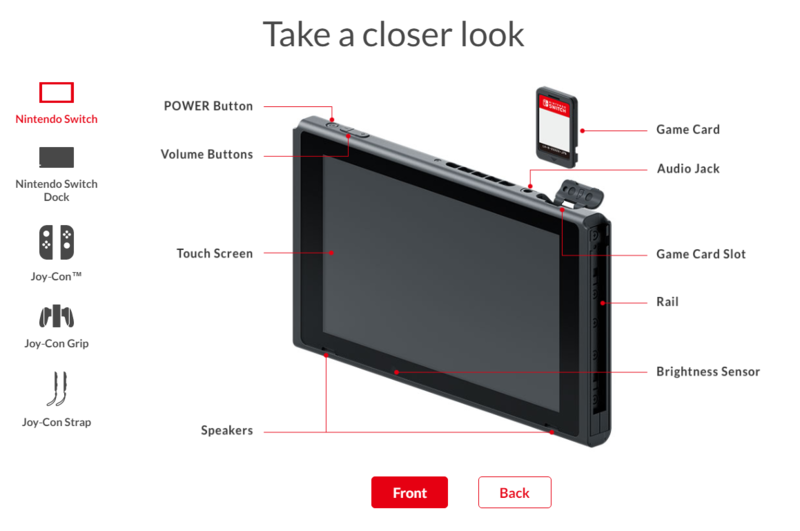 This includes the main console, left and right Joy-Con controllers—available in gray or a mix of blue and neon red—a Joy-Con grip, a set of Joy-Con wrist straps, a Nintendo Switch dock, an HDMI cable, and an AC adapter. For a closer look at the console itself, click here. Additional features include the option to share screenshots on social media, an IR Motion Camera that can “detect the distance, shape and motion of nearby objects in specially designed games,” HD Rumble (which allows for realistic new vibration effects), and a variety of new connectivity and interactivity options. For more details, visit the official site or watch the full hour-long presentations below. As part of the announcement, Nintendo also released trailers for no less than 11 new games—namely ARMS, Fire Emblem Warriors, The Legend of Zelda: Breath of the Wild, Mario Kart 8 Deluxe, 1-2 Switch, Puyo Puyo Tetris, Sonic Mania, Splatoon 2, Super Bomberman R, Super Mario Odyssey, and Xenoblade Chronicles 2—which you can watch below.